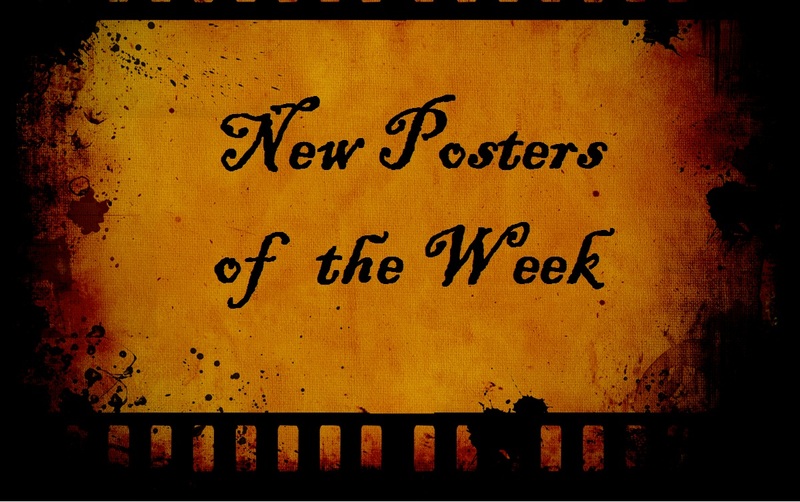 TheFocusedFilmographer– An interesting mix today as not too many of this week’s posters are for blockbusters and yet happen to grab my attention. Byzantium sticks out to me the most with its colors and specifically the use of the color red. I also really like the schizophrenic feel of Maniac, starring Elijah Wood. The Smurfs 2 posters are just annoying to me and I really don’t know what’s going on with the not-blue smurf (?). Aside from the blue eyes in Blue Jasmine, that poster does nothing for me, but The Conjuring is creepy. While recent incoming reviews for World War Z look promising, I’m disappointed in the familiar re-using of this recent poster’s image of Brad Pitt. Booo! So, all that said, my top 3 posters this week are: Byzantium, Maniac and In the Fog. Bubbawheat– I absolutely love that Maniac poster, it’s so striking and honestly not something I can think of as ever seeing before in a movie poster. I do also like The Conjuring, but I also feel like that kind of dirty black and white (or often sepia tones) has been done a lot before. I also agree with you on Byzantium, it’s a really striking image and I love the contrast and color scheme. I also find the Smurfs 2 rather annoying with the addition of a crazy smurf and a goth smurf, even though she’s only the third female Smurf after Smurfette and Sassette. I hate to say, but I wasn’t very much a fan of the kinda-painted-look-but-actually-looks-more-like-a-quick-photoshop-filter style of In the Fog. Next Join the Celebration: TheFocusedFilmographer turns 3! Lady Sati! Thanks for chiming in on this week’s posters. I know what you mean about uninspiring, but I still think a couple of them are pretty neat. I like that you mention Blood Ties. I was wondering if that one would “speak” to anyone. I’m sure there’s a reason there are non-blue gnomes in the Smurfs poster. I’m equally sure I don’t really care to find out. I hope Saoirse Ronan starts doing some good movies soon. From the little snippets I’ve seen, she looks like a good actress, I just don’t want to see anything she’s been in yet. I like the poster for The World’s End; nice and colorful. Maniac, like both of you have stated, has a very creative design to it. I also like the 1970s-style poster for Blood Ties. I watched the new trailer for The Smurfs 2 and saw there def is a reason for the non-blue smurfs…and I still don’t care. hahaha.